« Medical Database created with Tap Forms! Tap Forms Featured on the iTunes App Store! 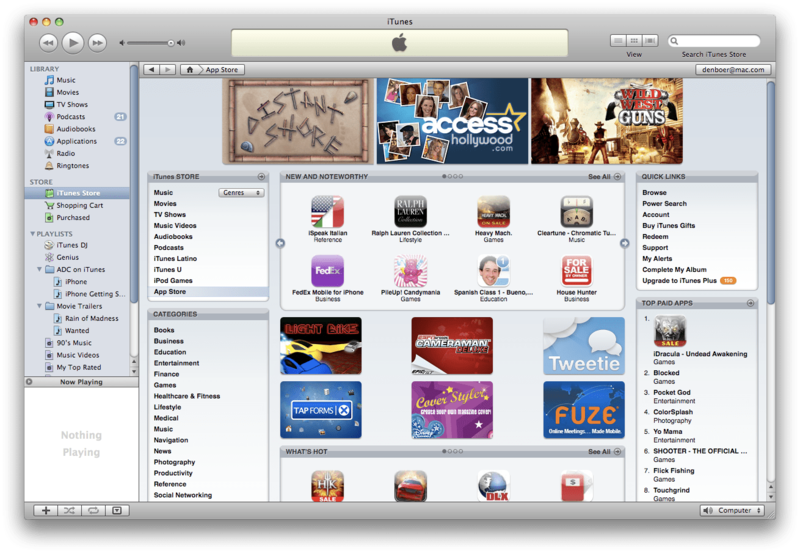 It's my pleasure to announce that Tap Forms has just been featured on the iTunes App Store! I'm very excited and very grateful to Apple for the opportunity to showcase Tap Forms to a much wider audience. Now that Tap Forms has made it to the big show, the next big question is how will it affect sales? I know that Tap Forms can sell itself if people could just find it. It's definitely a really useful app for so many things. I know there will be a spike as there usually is when this sort of thing happens, but the question is, how much and for how long? I'll definitely be anxiously awaiting the sales statistics to be published to my iTunes Connect account for the next week. Before being featured I've been really pleased with how sales have gone. It was a little sketchy in the early days though. Lots of ups and downs. Sometimes a mere 3 sales a day. But lately I've been averaging about 30 sales per day. That's really good for something that I do in the evenings and weekends. And I'm certainly very proud of what Tap Forms has become and where it is going. There's so much great stuff that I want to put into it and so many wonderful feature requests I've had from my amazing customers. Pay no attention to the wild spikes in the graph above. I think the AppViz program I used to generate the graph is a bit wonky. Sales have been pretty steady that whole time. I'll post back here in a few days once the sales data starts coming in. So stay tuned! This entry was posted on Tuesday, February 24th, 2009 at 12:25 AM	and is filed under Uncategorized. You can follow any responses to this entry through the RSS 2.0 feed. You can leave a response, or trackback from your own site. Any updates on your sales figures… inquiring minds want to know. I’m still featured, so once I’m off the front page I’ll post some more stats. But so far Tap Forms is doing very well. got it for my brand new iPhone and like it so far. would like to add gps coordinates together with pictures, sound etc. is that possible? maybe in a future version? also, still trying to figure out the sync thing. I come from PocketPC so everything concerning syncing on the iPhone seems awkward to me, but I assume you did your very best as to the sync options of this app. what I did not manage to figure out so far: can sound and images be synced with a PC? It would be nice if Apple had a better, more standard sync function for all 3rd party apps. I quite like your program as I see it on your web site. I am concerned though that there is no apparent way to sync the data on the iPhone to a desk/laptop computer. I did a search of your web site for the word “sync” and came up with only one reference, a posting of a user about syncing. If there is no way to download what I’ve entered and the phone is lost/crashes, then all the data is lost as well. Actually, Tap Forms has an “independent from iTunes” backup and restore mechanism built-in. So if you run the backup inside Tap Forms, you will be able to restore your data to a new iPhone should it get lost or stolen. So your data will be safe on your PC or Mac. Can you please tell me, step by step, how I back up my tapforms on my iphone to my mac laptop. I don’t see the instructions and am now becoming so dependent on this thing it’ll do my brain in if I lose the stuff on it right now. With the number of Apple apps coming on and all the messing around there really needs to be much more focus on making syncing a lot more seamless. It would be great if all the information on all the apps would just automatically sync like Mobile Me. Many thanks in advance for your help anyway. There’s instructions on how to backup and restore on the Backup & Restore screen. Just tap the question mark icon in the top-right and the instructions will show up. But essentially all you have to do is download and install the SyncDocs application (from http://syncdocs.sourceforge.net) and launch it. Then the backups are initiated from within Tap Forms. Tap on the SyncDocs server in the list of servers that shows up and then tap the Backup button. There’s not much more to it than that.